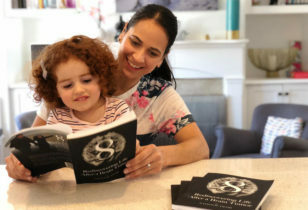 At her second trimester appointment, Joyce Scavullo Kelly got the news every mother dreads: The baby girl she was carrying had Trisomy 13, severe deformities, and a damaged heart—a fatal diagnosis, and one that could prove life-threatening for her, as well. 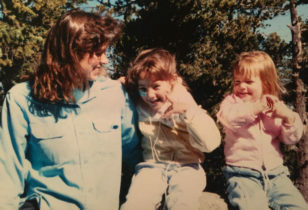 In her brutally honest essay for this week’s Mom Talk, Joyce recounts the experiences that followed, and reveals what it’s really like for a woman paralyzed by grief to try and find empathetic, informed medical care at a time when a woman’s excruciatingly personal decisions are constantly being debated and demonized on the political stage. Isabella Marie was my daughter. I cannot tell you the color of her eyes or whether she had wavy hair like mine. I never held her in my arms. I never got to look into her eyes or leave lipstick kisses on her forehead. Isabella did not make it to the full term of my pregnancy. She incarnated into a body that could not sustain her. And yet this little being, who barely graced us with her presence, had a profound influence on my life. She gave me a gift that I was slow to see, because the pain of her fate blinded me for several years. I felt only guilt and sorrow. After she was gone, I would secretly whisper, “I am so sorry, Isabella.” That was my mantra. I was sorry for having to make the heart-wrenching decision to terminate her life at 20 weeks. When my amnio results came in, we were informed that the baby had Trisomy 13, severe deformities, and a damaged heart. Trisomy 13, also known as Patau’s Syndrome, is usually fatal—most babies die before birth, and those that make it live only a few days. Termination was a medical decision. My then-husband and I were counseled to end the pregnancy, advised that my life was in jeopardy if we chose to carry to term. Even the termination itself was wrought with potential complications. Finding a doctor who would perform the procedure was difficult. From the day we received the results to the day of her death a few weeks later, I turned inward, where I could be with my daughter. I retreated from the world. I stayed home most of the time. I couldn’t face the eyes of strangers on my round belly. Pregnant women are supposed to glow and chat about baby things and let people rub their tummies. I knew all this because 11 years earlier, I was that radiant pregnant woman, expecting my first daughter. But now I was a pained, bereaved, sullen woman who had made a brutal decision and I was ashamed. I had chosen my own life—chosen to be here for my dear, living child—over the possibility of a few days with the baby I was carrying, if we got any time at all. I spent those two weeks in an ongoing internal dialog with the daughter I would never hold. I told her all the things I would have said to her during long stroller rides or lying with her on the bed gazing into her eyes, playing with her tiny fingers and toes. I sat with her in my womb, in our garden, and told her the names of all the flowers—Hydrangea, Jasmine, Lobelia. I described their colors. I talked to her about her big sister that she would never know and who would never know her. I had her father drive me out to Stinson Beach, where I sat on the sand and explained to Isabella that the body she had chosen this time around was not strong enough to allow her to be born into this life. I told her that in the next life she would choose a stronger one. Next time around she would run on a beach like this, swim in a big blue ocean, diving into the waves the way I do. And I told her that I was sorry that this was her fate, and that I loved her, and I was so, so sorry. My husband Mark did not know what to make of my retreat. He was convinced that I was going to lose my mind. He did not want to cope with me, or thought he couldn’t, so he called my parents and told them they needed to come to California to take care of me. They arrived the day before the procedure. I had been terrified to reveal the news to them—two staunch Catholics now in their 70s. I thought they would condemn a decision to undergo what amounted to an abortion. But they gave me only love and support, assuring me that my situation was different, and I was not going against the church. I was referred to the abortion clinic at San Francisco General Hospital (SFGH), a sterile facility with a security gate and armed guards. I ended up here because when my OBGYN examined me prior to scheduling the procedure, she found that she was not skilled enough to handle my case. She had me come back the next day to be examined by one of her colleagues, who also felt unequipped to handle my case. And so my doctor had to locate a clinic that could provide therapeutic termination—or what most people call a late-stage abortion. 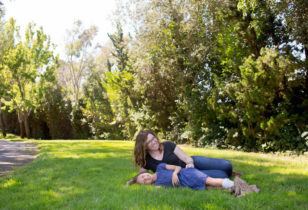 On the day of my initial visit to SFGH, I sat in the waiting room with several young women, painfully aware that my circumstances were nothing like theirs. I wanted to cry out, “Have your babies! They are probably healthy! I will adopt them and give them a good home.” But instead I just sat there with tears streaming down my cheeks. On the TV, a Victoria’s Secret commercial came on advertising the last day of their big sale. One young woman said she hoped the clinician would call her in soon so she could make it to the sale. On my next visit to the clinic, the TV was tuned to a Christian evangelist station. I wondered if I was the only one in the room who got the irony. My husband was not allowed in the waiting room with me. They had a separate waiting room for men. I don’t know why. Women with medically recommended terminations are usually treated in a private facility, but I was given no special consideration here. I don’t think the intake nurse even knew. She seemed shocked to hear me say that I did not want to terminate, and thrown by my tears. The day of the procedure, we left our daughter at home with my parents. The mere sight of the hospital elicited an overwhelming feeling of despair. Hospitals used to represent a place of hope for me—a place where I’d given birth to a healthy daughter years before. But this hospital made me think of ugly things, sad things. My dread grew with every step as we made our way up to the clinic. Mark opted to wait in the men’s waiting room. He chose not to be with me for the procedure. Eleven years earlier, when I’d had an emergency C-section, Mark had stood by me and held my hand. This time, he sent me in alone. Later he told me that he’d been afraid to see something he would be unable to bear. I told him I understood, but I didn’t. There were a few times in my marriage when my husband could have stepped up and been there for me. This was one of those times. I was completely unprepared for the procedure. When it was time, all the women in the waiting room were lined up and moved as if on a conveyor belt into a small area just outside the operating room. As one woman was wheeled out, another was brought in. It was so cold. Perhaps they told me what to expect at my initial meeting and I hadn’t processed it, or they assumed I already knew. Having lost a baby seven years earlier, four months into my pregnancy, I had expected this procedure would be similar. I assumed I’d be knocked out and wake up when it was over. But I was not knocked out. I was not given any anesthesia or even a sedative. It was like I was being punished. When it was my turn, someone walked me into the operating room. By the time they directed me to sit on the table, I was crying uncontrollably. I could hardly breathe. A doctor instructed a nurse to get me under control. The nurse took my hands and looked me in the eyes. She told me in a kind voice that I had to calm down. She instructed me to focus on my breathing. She breathed slowly with me. My breathing calmed me. I stayed with my breath. The nurse held my hand and the procedure began. I could hear the humming of a machine. It sounded like a vacuum. 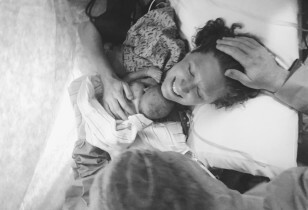 I could feel the baby moving through my birth canal and then I felt her body moving out. It was a sensation I’d anticipated having when Francesca was born, but never did due to the C-section. The shock of having it for the first time in this moment overtook me. I shouted, “My baby, my baby!” through wrenching sobs. The nurse who was holding my hand told me in a firmer voice to start breathing again. She said I can’t think about the baby. Then the procedure was over, and I was being wheeled into the recovery room where I quietly cried until I was told to get dressed so I could go home. My parents comforted me when I got home and stayed for a few days. After they left, I wanted to prove to my husband that I was not going to lose my mind. I did not speak about the procedure. I never told him about it. I pushed my feelings down deep. I think I feared that if I spoke about it I would be overcome with sorrow. But Mark turned his attention elsewhere. He decided to start a new business. He’d begun working on the business plan the moment we arrived home from the hospital. For the four years after I terminated Isabella’s life, I could only think of her with my heart filled with sorrow. During that time, my marriage completely unraveled. Mark and I had lost our connection and try as we might, after years of weekly couple’s therapy on top of weekly individual therapy, we decided to separate. The pain of losing Isabella and the subsequent actions of my husband brought me to a breaking point where I could no longer deny my unhappiness. I could not find my joy again if I stayed in my marriage. Though it was difficult to share custody of my daughter, I was already so much happier than I had been in years. A few months after moving out, I decided to take a Buddhist class called Awakening Joy, which leads with the premise that joy isn’t something we luck into, but a choice we make. My friend Suzy had taken the class before and suggested we take it together. Before the first session, I met Suzy for dinner and we talked freely about our lives. Suddenly at the end of the dinner, I was overcome with a sense of Isabella’s presence. A feeling of calm came over me and a realization settled in—I understood in that moment that Isabella had come to illuminate for me the fact that over the course of my marriage, I had lost my joy. And now I had the choice to regain it. No one can fully understand the magnitude of this scenario unless they go through it themselves. I experienced an eerily similar scenario, though my case unfolded in Wisconsin at 24 weeks. Felt like a criminal travelling to Chicago to have a late term abortion for a pregnancy that had a triad of anomalies that would not be compatible with life once the baby was born. I have since had two healthy children, but my life path was forever changed after that termination. Though I am still married, our marriage has suffered considerably. Thank you for appreciating my story and my angel, Isabella! What an incredibly strong person you are Joyce 💗 Your writing brought tears to my eyes. I can’t imagine how hard that must have been for you. I stayed at a Buddhist monastery in thailand a few years ago and learned how important meditation is. I’m grateful you’ve found peace and joy again. I know your words will help someone else going through a hard time. Thank you for your kind words. Mindfulness and being able to re-frame ones experiences helps us grow. I do hope my story helps bring peace to others. I cannot imagine what you have had to go through. I cannot imagine having to make such a decision, because I’ve never been in a similar situation. But my heart goes out to you–one mother to another. We should all have the same compassion for those other women in the waiting room, since we do not know what situations are driving them to terminate their pregnancies. While a medical reason is one such compelling reason, it is one of many, and it’s dangerous to try to elevate some situations as sufficiently different to be morally or ethically superior, thus more justified, particularly when we have not walked in the shoes of those women. For example, looking forward to a Victoria Secret sale could be one way of coping with what is happening. Please know that I am an extremely compassionate person and at all other times in my life, compassion flows freely from my heart to others. My pain, at that time, was overwhelming. I have walked in the shoes of the women I shared that waiting room with, so it was not moral judgement but merely raw, heartbreaking pain that ruled my mind at that time. I am sorry to hear of your similar experience but it warms my heart knowing that you have your own personal bodhisattva. I too mark how old Isabella would be and track what she might be doing had she been able to live in a healthy body- she’d be going to college, dating etc. I have a tattoo of a lotus on my inner forearm as a daily reminder of Isabella gift to me. May you continue to find peace.